To understand comedy is to understand humanity, for the comic sense is central to what it means to be human. Nearly all the major issues with which human beings have exercised themselves are touched upon in some manner by the comic spirit. Yet education in the art of comedy and in comic appreciation is given little attention in most societies. 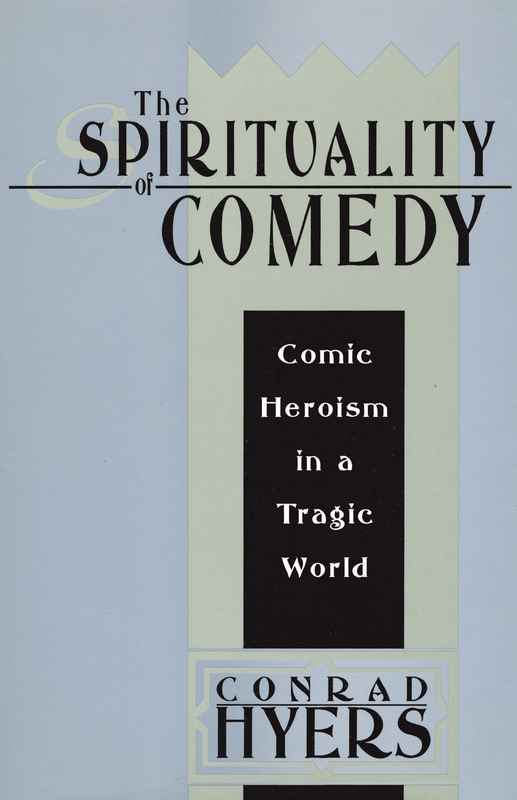 The Spirituality of Comedy explores the wisdom of comedy and the comic answer to tragedy (in both popular and classical senses of the term). Tragedy is seen as a fundamental problem of human existence, while comedy is its counterweight and resolution.Conrad Hyers has taken a fresh look at comedy from the standpoint of comparative mythology and religion, and thus comedy's spiritual significance. In his unique study of the comic tradition, Hyers explains the difficulty in pinning down themes, structures, plots, or characters that are common to all comedy. Instead he argues that there is an essence of comedy in the area of pattern. He draws upon the rich historical ensemble of types of comic figures: the humorist, comedian, comic hero, rogue, trickster, clown, fool, underdog, and simpleton. He shows how each type incarnates a comic heroism in its own unique manner, offering a profound wisdom and philosophy of life.The approach of this book is broadly interdisciplinary, with materials and interpretations introduced from the various fields of the humanities, social sciences, and natural sciences as they illuminate both the tragic and comic sensibilities. The methodological thread that draws this all together is an analysis of the major types of comic figures in terms of the myths and legends associated with them, the rituals they produce and enact, and the symbolism of the comic figures themselves. Written in a very readable literary style, The Spirituality of Comedy will appeal to psychologists, social scientists, clergy, philosophers, and students of literature.